Martin Chulov and Tom McCarthy, “US drone strike in Syria kills top al-Qaida leader, jihadis say,” Guardian (London), February 27, 2017, https://www.theguardian.com/world/2017/feb/27/us-drone-strike-in-syria-kills-top-al-qaida-leader-jihadis-say. Masri was reportedly killed by a U.S. drone strike in northwest Syria in late February 2017, according to jihadist sources. Following reports of Masri’s death, Baghdad-based terrorism expert Hisham al-Hashimi referred to the al-Qaeda operative as the “ideological leader of the group in Iraq, Syria and Yemen.”Martin Chulov and Tom McCarthy, “US drone strike in Syria kills top al-Qaida leader, jihadis say,” Guardian (London), February 27, 2017, https://www.theguardian.com/world/2017/feb/27/us-drone-strike-in-syria-kills-top-al-qaida-leader-jihadis-say. Charles Lister, “Al Qaeda Is About to Establish an Emirate in Northern Syria,” Foreign Policy, May 4, 2016, http://foreignpolicy.com/2016/05/04/al-qaeda-is-about-to-establish-an-emirate-in-northern-syria/. 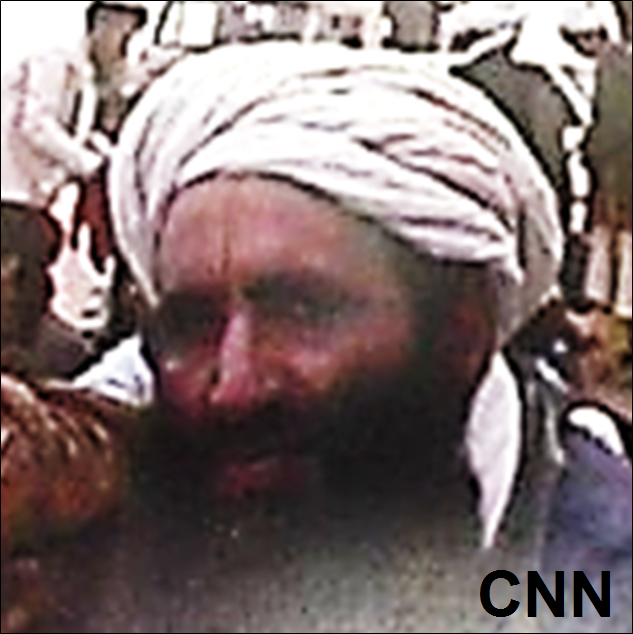 Masri was also believed to have been a member of al-Qaeda’s management council, overseeing liaison between al-Qaeda and the Taliban.“Al-Qaeda figures or associates linked to Iran,” Washington Post, February 14, 2014, http://apps.washingtonpost.com/g/page/world/al-qaeda-figures-or-associates-linked-to-iran/810/. During this time, according to the Soufan Group, notorious 9/11 mastermind Khalid Sheikh Mohammed briefed top al-Qaeda leaders on the 9/11 plot in Masri’s residence in Afghanistan.Soufan Group, “A Major Blow for al-Qaeda,” Email, February 27, 2017. Martin Chulov and Tom McCarthy, “US drone strike in Syria kills top al-Qaida leader, jihadis say,” Guardian (London), February 27, 2017, https://www.theguardian.com/world/2017/feb/27/us-drone-strike-in-syria-kills-top-al-qaida-leader-jihadis-say. The United Nations added Masri to its consolidated list of al-Qaeda members on September 29, 2005.“Security Council Committee Adds Seven Individuals To Al-Qaida Section of Consolidated List,” United Nations Security Council, October 3, 2005, http://www.un.org/press/en/2005/sc8516.doc.htm. On October 3, 2005, the U.S. Treasury Department designated Masri for being a member of the former EIJ and al-Qaeda and participating in training and providing material support to al-Qaeda.“Treasury Designates Seven Al Qaida Associates,” U.S. Department of the Treasury, October 3, 2005, https://www.treasury.gov/press-center/press-releases/Pages/js2960.aspx. Abdul al Khayr al-MasriRay Sanchez, Paul Cruickshank, “Syria’s al-Nusra rebrands and cuts ties with al Qaeda,” CNN, August 1, 2016, http://www.cnn.com/2016/07/28/middleeast/al-nusra-al-qaeda-split/. Abd Allah Mohamed Ragab Abdel Rahman“Security Council Committee Adds Seven Individuals To Al-Qaida Section of Consolidated List,” United Nations Security Council, October 3, 2005, http://www.un.org/press/en/2005/sc8516.doc.htm. Abdullah Muhammad Rajab Abd al-RahmanRay Sanchez, Paul Cruickshank, “Syria’s al-Nusra rebrands and cuts ties with al Qaeda,” CNN, August 1, 2016, http://www.cnn.com/2016/07/28/middleeast/al-nusra-al-qaeda-split/. Ahmad Hasan Abu al KhayrRay Sanchez, Paul Cruickshank, “Syria’s al-Nusra rebrands and cuts ties with al Qaeda,” CNN, August 1, 2016, http://www.cnn.com/2016/07/28/middleeast/al-nusra-al-qaeda-split/. Ahmad Hasan Abu al Khayr al MasriRay Sanchez, Paul Cruickshank, “Syria’s al-Nusra rebrands and cuts ties with al Qaeda,” CNN, August 1, 2016, http://www.cnn.com/2016/07/28/middleeast/al-nusra-al-qaeda-split/. The United Nations Security Council added “Abd Allah Mohamed Ragab Abdel Rahman” to the al-Qaeda section of its consolidated list.“Security Council Committee Adds Seven Individuals To Al-Qaida Section of Consolidated List,” United Nations Security Council, October 3, 2005, http://www.un.org/press/en/2005/sc8516.doc.htm. The U.S. Department of the Treasury designated “Abdullah Muhammad Rajab Abd Al-Rahman” for being a member of EIJ under Executive Order 13224.“Treasury Designates Seven Al Qaida Associates,” U.S. Department of the Treasury, October 3, 2005, https://www.treasury.gov/press-center/press-releases/Pages/js2960.aspx. Abu Khayr al-Masri—born Abdullah Muhammad Rajab Abd al-Rahman—was the U.S.-designated deputy leader of al-Qaeda, sitting directly below Ayman al-Zawahiri. “We direct the leadership of al-Nusra Front to go ahead with what preserves the good of Islam and thee Muslims, and protects the jihad of the Syrian people.”Martin Chulov, “Al-Nusra Front cuts ties with al-Qaida and renames itself,” Guardian (London), July 28, 2016, https://www.theguardian.com/world/2016/jul/28/al-qaida-syria-nusra-split-terror-network.